1.1 Why a Whole Set of Luggage? I don’t know about you, but there’s something incredibly satisfying about beautiful luggage — and a the best luggage sets are those that match! Strolling into the airport with coordinating baggage feels luxurious in a day and age where air travel (unless you can afford first class!) is anything but. Why a Whole Set of Luggage? Now if you’ve never purchased matching luggage sets (in fact, you sometimes still use your college messenger bag as your personal item and that duffel bag from high school basketball as your carry on), you might be wondering why on earth you’d invest in one. Right Bag for the Right Occasion: You won’t always need to travel with a full set, but now you’ll know that you have a bag that fits. 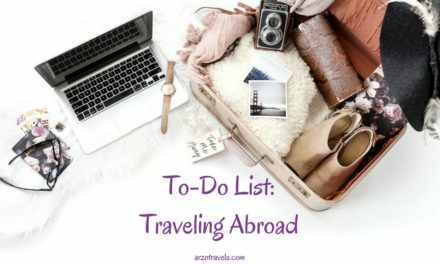 Need a carry on for a budget flight? You know you have one that fits the dimensions. No more trying to pass a too-big-backpack as a personal item. Just grab the smallest bag from your luggage set. And if you’re planning a long getaway where you need to check a bag, you have a piece that can fit 5 (or 10) pairs of shoes. Easy to Locate: When all your bags match, it’s easy to find them at the end of a long transcontinental flight. You know what’s yours and what you’re missing — especially if you pick a color or pattern other than black (which I highly recommend). High Quality Can’t be Beat: Let’s face it, trying to make do with the mishmash of hand-me-down and ancient luggage that you currently own isn’t working. 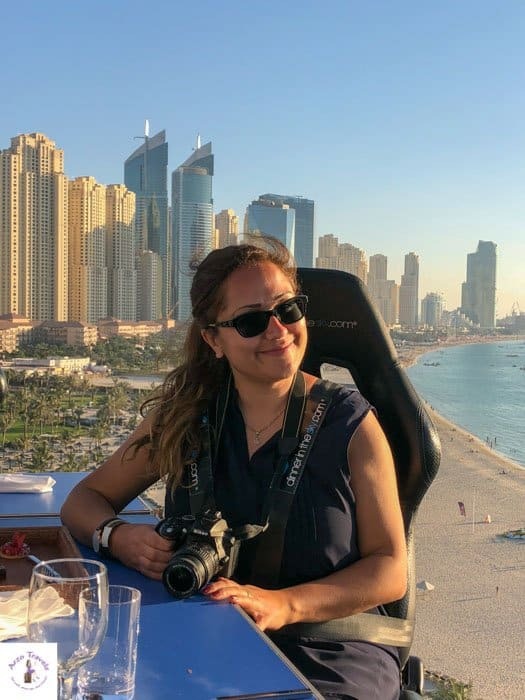 Getting something better quality that will last you is always a wise idea, especially if you plan on travelling extensively! Better For Storing: I can’t promise that all luggage sets fit together like Russian nesting dolls, but many do. If you live in an apartment or small house, it can be a huge help if you can tuck all your luggage pieces in one another and store them under the bed . Price: Getting a full set of luggage is always going to be an investment, even if you choose something on the least-expensive side of the spectrum. Make sure you know how much you can spend before going shopping, or you’ll probably end up overspending! Material: Hard shell? Soft shell? Which do you prefer? Do you need something water-resistant? Do you want something leather? In general, hard shell bags are the best for protecting your valuables from spills and bumps, although they are more challenging to stuff into the overhead bins. 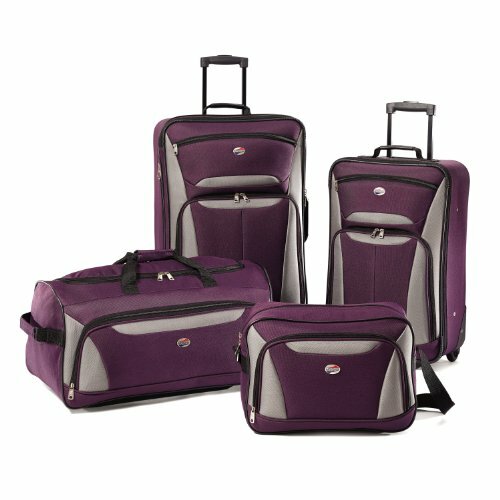 How Many Pieces: Using the phrase “travel luggage sets” can be a bit misleading — What makes up a set? In general, you should look for a set with at least two pieces: A carry-on, and a larger checked bag. Want to go above and beyond? Get a set that includes a personal item and something for suits and dresses. Sizes: Which airlines do you fly on most frequently? 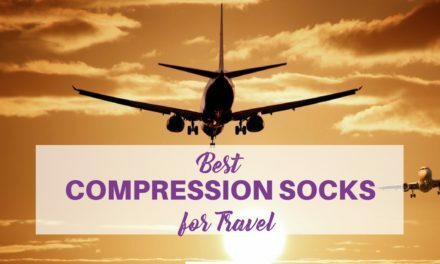 Look up their size restrictions for each size bag (personal, carry-on, and checked) and make sure the luggage set you choose meets those requirements. Then you’ll never need to stress out at the ticket counter wondering if the airline personnel will let those extra 2 inches slide this time. Brand: Are you loyal to a particular brand? Are you buying this luggage as a statement? Do you want a great warranty or certain durability? Getting something from one of the best luggage brands can save you money and headache in the future. Color: Please don’t buy black luggage! Yes, it goes with anything. Yes, it won’t make you stand out in an airport full of strangers. But it’s so hard to find your black bag among millions of other black bags on the carousel. I’m not saying go with lime green, but think of finding something refined AND unique (okay, I admit black looks great but try to be braver this time). What Makes A Good Piece of Luggage? The short answer: Something durable and easy to maneuver. 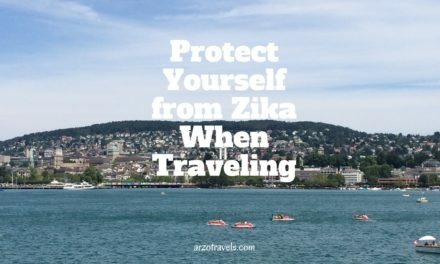 The last thing you want is to break a wheel on cobblestone streets or discover the zipper won’t zip hours before your flight. You need to look for something durable (and if possible, something with a warranty or easy-to-return policy). While some bags might look great, if they don’t stand up to the wears and tears of travel they aren’t worth purchasing. But second to durability comes maneuverability. Wheels are a MUST unless you don’t mind backpacking it. I prefer four wheels to two because those bags stand upright on their own and are super easy to weave in and out of crowds. You can push it in front of you and rest a smaller bag on top of it. Part of luggage being easy to move around is how lightweight it is. With the weight restrictions on bags getting more and more stringent, you don’t want to waste even an ounce on luggage. 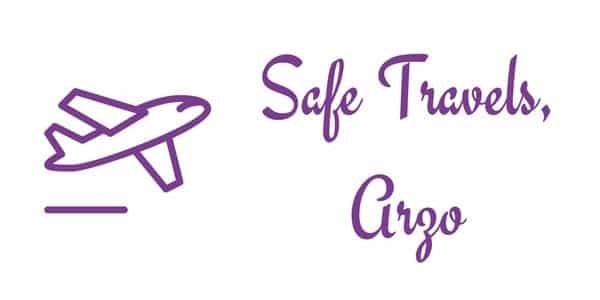 Plus, you should make it a rule that if you can’t lift/carry it, you shouldn’t bring it with you: If you have lightweight carry on luggage, you’ll be able to put in the overhead compartment without too much trouble. Yes, you could go from store to store to browse luggage sets and hope to find one at the right price, but it’s hard to beat Amazon. Not only do you have tons of options, you can read reviews and get the pieces shipped to your door. No, this isn’t a luggage set you’ll pass down to your children, but if you’re looking for something incredibly basic and versatile, this set is a good choice. You get a personal item, a carry-on, a checked bag and a wheeled duffle bag all for under $90. It comes in red, purple and blue (all great for standing out!) as well as basic black and grey. I don’t love that these only have two wheels, and I prefer hardside luggage sets, but if you’re on a tight budget these should get your belongings from point A to point B without much trouble. 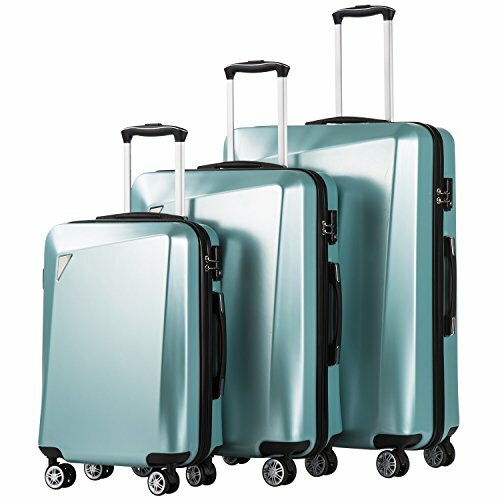 These are pricier than the Tourister set above, but for good reason: You get a stunning hard shell (in either red or ice blue, both of which look sleek and are easy to spot) and 4 wheels. This is only a three-piece set and you don’t get a personal item, but if you typically carry a purse then it’s still a good buy. The set comes with TSA-approved locks included and they nest inside each other for easy storage when you aren’t traveling the world. 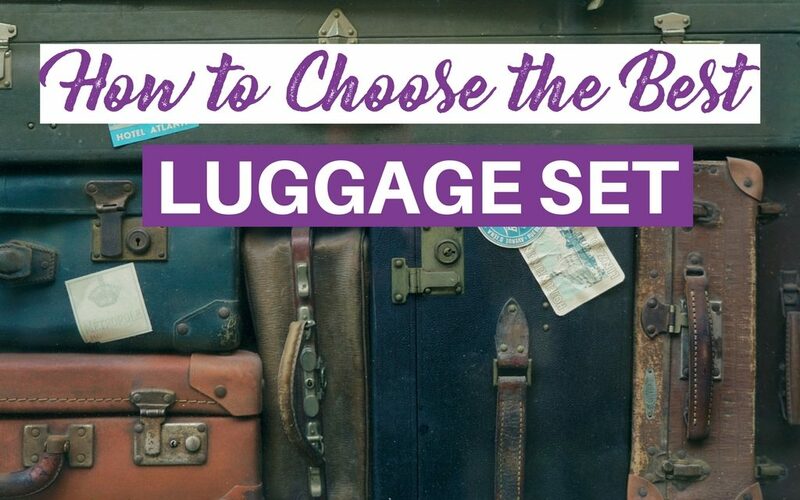 Because the luggage opens in the middle, you can fill each side separately and there’s an internal zipper to keep clothing positioned on one side or the other — very helpful for staying organized on the go. 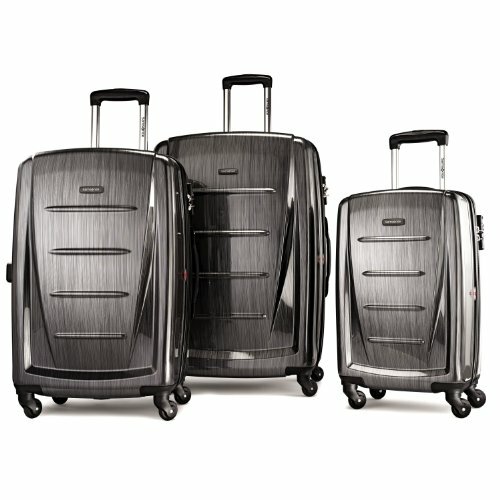 This is my favorite in terms of inexpensive spinner luggage sets. The best luggage to buy is the luggage that meets all your needs and will last, but is still affordable. That’s what this section is all about: No, these aren’t cheap, but they are a good value. 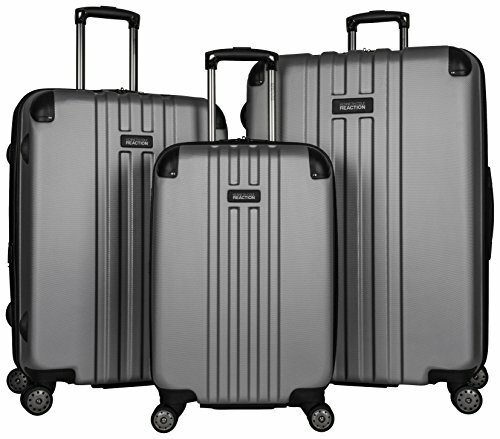 In general, I think Samsonite is a great brand for affordable luggage sets that still offer durable quality. 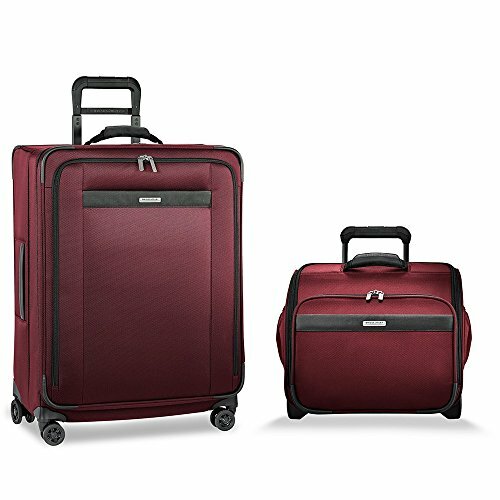 In particular, this suitcase set is impressive: Not only is hard shell exterior incredibly modern and stylish, you get TSA-approved locks and two easy-to-fill compartments in each bag. Again, this set doesn’t offer you a personal bag (not overly surprising since hard shell personal items are rare), but you can purchase it in burgundy, red, blue, green, navy, teal, purple, black and grey — amazing options. They’re incredibly lightweight and store inside each other when not in use. If you happen to pack too much, they even expand in the middle to allow you a couple extra inches of packing space. 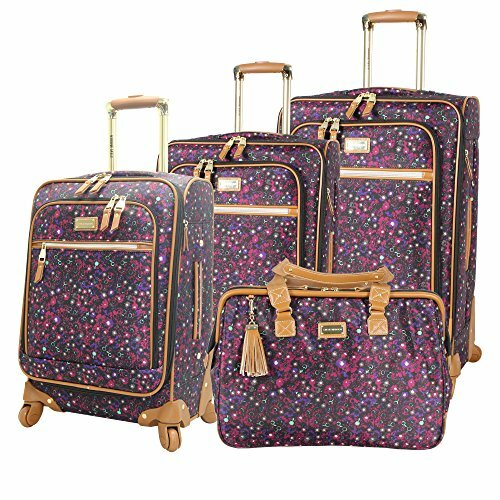 Here’s my pick for unique women’s luggage sets: You will definitely stand out with this set! This Steve Madden set comes in a interesting purple floral with honey leather (faux) accents. The interior is fully-lined and comes with a number of pockets and you even get cute tassels and luggage tags. It’s not hard-sided, but the pieces each have four wheels for easy maneuverability, and this is a four-piece set including a fashionable personal item that can fit a laptop. It might not be the lightest luggage since it’s not ABS, but they’re still easy to carry and you can fit them inside each other. 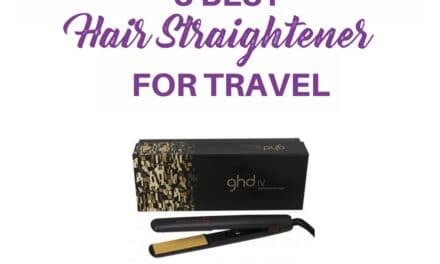 You will easily spot this on the carousel and you’ll look awesome wherever you travel. If you are wanting something stylish and practical for a reasonable price: Pick these. When you can spend the money on something high quality, do it! The best travel luggage doesn’t have to be expensive, but you know what they say: You get what you pay for. If you have the money to spend, consider this amazing 3-piece set. It’s some of the best hardside luggage on Amazon, made from lightweight ABS and including a fully-lined interior. Although the sleek exterior is great, I think the inside of this bag truly delivers with a myriad of compartments and pockets for smaller items — you get 5 pockets (including a mesh one) in addition to two elastic shoe pockets and garment restraint panels. Each of the corners include protective feet so you can lay the bag on its side, and the pieces nest together so you can store them easily. You can expand the bags by a couple inches, as well, so all around this could be the best luggage to buy for your next trip. My only complaint is they only come in grey/silver — I’d love a more obvious color. Made with nylon twill fabric in a beautiful cranberry color that resists moisture and dirt, this two-piece set speaks luxury! Open up the large rolling bag that features 4 wheels and you’ll find a built-in tri-fold garment compartment for dresses and suits. The personal item has a handle and two-wheels making it easy to board the plane! While you’re traveling around the airport or to your destination, you can put the smaller bag securely on top of the larger one and roll them as one item. You’ll get 2.5 extra inches of packing space when you expand the middle zipper. No, it’s not one of the hard luggage sets I love, but Briggs & Riley bags come with a lifetime guarantee: “Our simple as that® guarantee means if your bag is ever broken or damaged, we will repair it free of charge, no proof of purchase needed, no questions asked. ” Wow! In that case, this may be the best suitcase for international travel — you never know what will happen while you’re on the road. Wondering how to pack the perfect carry-on? Here are my tips. So what about you? Which luggage set do you love the most? Which one will you travel with?